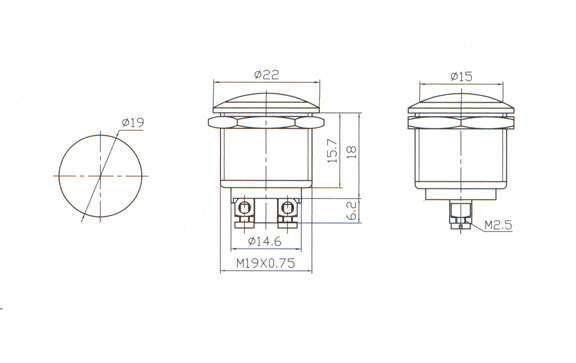 SPST-NO Flush, Flat face button, Full size, metal body, Momentary Pushbutton switch, Mounts in a 3/4 hole. Rated 2A @ 250VAC/4A @ 125VAC. Screw Terminals. This switch looks and feels very high quality and durable.